No, the weather’s not changing, at least not yet! 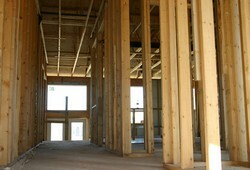 It’s time for a preview of the 2008 Luxury Home-a-Rama homes while they are still under construction. Since there might be a bit of dirt and dust, no…..there will more than likely be some dust and dirt, maybe even some mud. But, what fun it will be. BAGI (Builders Association of Greater Indianapolis) is hosting the tour on July 13th from noon-4:00. If you have never been to The Willows in Zionsville, you will definately be impressed. You may even find your next new home. Paula - Thanks for mentioning the Dusty Boots tour. If you need any info, photos, etc. just let me know. Anyone up early next Sunday can watch Treeboy giving a preview of the Dusty Boots tour between 9 and 10 a.m. on WTHR/ Channel 13.